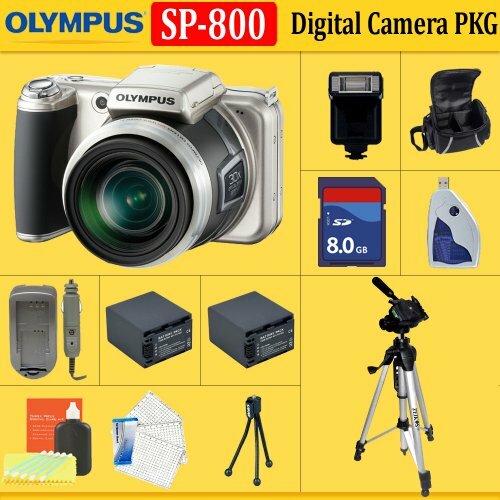 Olympus SP-800UZ Digital Camera(Includes manufacturer’s supplied accessories) + HUGE ACCESSORIES PACKAGE INCLUDING + 8GB SDHC MEMORY CARD + 2x EXTENDED LIFE BATTERIES + SOFT CARRYING CASE + TRIPOD & MUCH MORE !! 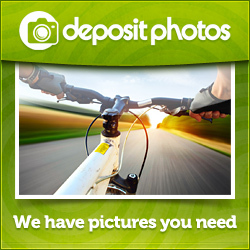 The Olympus SP-800UZ Digital Camera lets you get close to the action with its 30x wide-angle 28mm zoom lens. This lens has an amazing 28-840mm range (equivalent in 35mm). If your subject is faraway you can still get up close and personal with the telephoto end of the zoom, while the 28mm wide-angle lets you capture breathtaking panoramas. Considering these capabilities, this is still a very compact 14 megapixel camera. Composing photos is easy on the camera’s bright 3.0″ LCD screen, and it is easy to view even in the bright sun. LI-50B Lithium-Ion Battery (3.7V, 925mAh), Battery Charger, USB-AC Adapter, USB 2.0 Cable, AV Cable, Lens Cap w/ Lens Cap Strap, Camera Strap, Instruction Manuals, CD-ROM, 1 Year Limited Warranty.